Nevada Republican Gov. Brian Sandoval responds to reporter’s questions about health care and the opioid epidemic after a session called “Curbing The Opioid Epidemic” at the first day of the National Governor’s Association meeting Thursday, July 13, 2017, in Providence, R.I. Published Tuesday, Jan. 8, 2019 | 8:06 a.m. Updated Tuesday, Jan. 8, 2019 | 1:11 p.m.
Former Nevada Gov. 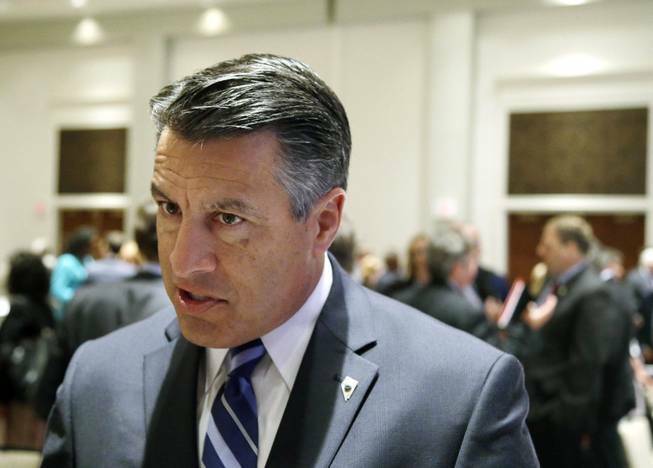 Brian Sandoval is joining casino giant MGM Resorts International to help push the company’s global expansion efforts, particularly in Japan, and work on state-level public policy related to sports betting.